Certified. This 2016 Chevrolet Impala Limited LT in Summit White features: Clean CARFAX. 3.6L V6 DGI DOHC VVT FWD Priced below KBB Fair Purchase Price! Odometer is 4311 miles below market average! 18/30 City/Highway MPG Chevrolet Certified Pre-Owned Details: * Roadside Assistance * 24 months/24,000 miles (whichever comes first) CPO Scheduled Maintenance Plan and 3 days/150 miles (whichever comes first) Vehicle Exchange Program * Warranty Deductible: $0 * Limited Warranty: 12 Month/12,000 Mile (whichever comes first) from certified purchase date * Vehicle History * 172 Point Inspection * Powertrain Limited Warranty: 72 Month/100,000 Mile (whichever comes first) from original in-service date * Transferable Warranty At Starling Chevy, you always get more for less! Visit our website www.Starlingchevy.com. Certified. Recent Arrival! This 2018 Chevrolet Cruze LT in Silver Ice Metallic features: Clean CARFAX. 1.4L 4-Cylinder Turbo DOHC CVVT FWD 29/38 City/Highway MPG CARFAX One-Owner. Chevrolet Certified Pre-Owned Details: * Vehicle History * Roadside Assistance * Warranty Deductible: $0 * 172 Point Inspection * 24 months/24,000 miles (whichever comes first) CPO Scheduled Maintenance Plan and 3 days/150 miles (whichever comes first) Vehicle Exchange Program * Limited Warranty: 12 Month/12,000 Mile (whichever comes first) from certified purchase date * Transferable Warranty * Powertrain Limited Warranty: 72 Month/100,000 Mile (whichever comes first) from original in-service date At Starling Chevy, you always get more for less! Visit our website www.Starlingchevy.com. 2019 Chevrolet Cruze LT, *CERTIFIED, ONE OWNER, CLEAN CARFAX, ALLOY WHEELS, BACKUP CAMERA. Chevrolet Certified Pre-Owned Details: * Limited Warranty: 12 Month/12,000 Mile (whichever comes first) from certified purchase date * Transferable Warranty * 24 months/24,000 miles (whichever comes first) CPO Scheduled Maintenance Plan and 3 days/150 miles (whichever comes first) Vehicle Exchange Program * Roadside Assistance * Powertrain Limited Warranty: 72 Month/100,000 Mile (whichever comes first) from original in-service date * Warranty Deductible: $0 * Vehicle History * 172 Point Inspection At Starling Chevy, Buick,GMC, you always get more for less! Visit our website at www.StarlingChevyBuickGMC.com *All vehicles advertised as "CERTIFIED" do not include the Certification Fee of $495. This Fee will be added at time of sale. Certified. This 2018 Chevrolet Impala LT in Mosaic Black Metallic features: Clean CARFAX. 3.6L V6 DI DOHC FWD Preferred Equipment Group 1LT. Priced below KBB Fair Purchase Price! Odometer is 8171 miles below market average! CARFAX One-Owner. Chevrolet Certified Pre-Owned Details: * Limited Warranty: 12 Month/12,000 Mile (whichever comes first) from certified purchase date * Roadside Assistance * Vehicle History * 24 months/24,000 miles (whichever comes first) CPO Scheduled Maintenance Plan and 3 days/150 miles (whichever comes first) Vehicle Exchange Program * Powertrain Limited Warranty: 72 Month/100,000 Mile (whichever comes first) from original in-service date * Transferable Warranty * 172 Point Inspection * Warranty Deductible: $0 At Starling Chevy, you always get more for less! 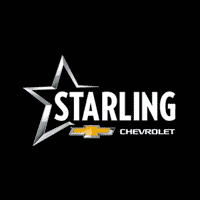 Visit our website www.Starlingchevy.com.